According to the U.S. Bureau of Labor Statistics, the state of Massachusetts employs approximately 42,000 certified nurse aides (CNAs). Like these professionals, prospective CNAs must obtain certification from the Massachusetts Department of Health after graduating from a state accredited nurse aide training program. Upon completion of a nurse aide training (NAT) program, graduates are eligible to take the Nurse Aide Competency Evaluation (NACE) managed by the Red Cross Institute. The Red Cross also facilitates several practice-test sessions to help candidates prepare for the exam. 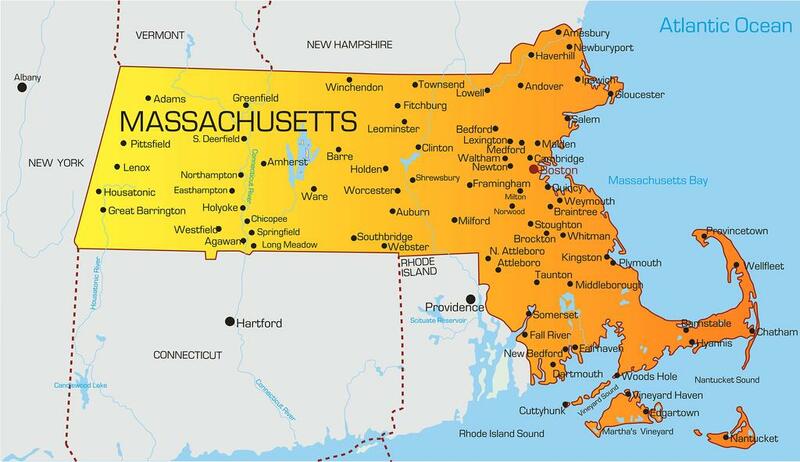 Other cities in Mass. : Please scroll down below or use CTRL+F (Command+F on Mac) to search this page. The Massachusetts Nurse Aide Registry keeps track of all certified nursing assistants within the state. Employers must verify the CNA’s status before extending an offer of employment. The state mandates that nurse aides must obtain certification before taking up employment at a licensed healthcare facility. The registry maintains details of CNAs’ background verification, address, training center, testing center, score cares, certification, health check as well as a record of nurse aide-related employment history. In addition to adding new CNAs, the registry also manages transfers, renewals, and requests for duplicate licenses. Training requirements vary from one institute to another. The Massachusetts Health Department does not specifically require nurse aide candidates to possess a high school diploma. However, many approved programs across the state require applicants to present proof of graduating high-school or a GED equivalent. A few others will enroll students who demonstrate a minimum ninth-grade reading and comprehension ability. Note: If you’ve covered 100 hours or more in a nursing degree program, you can skip the prerequisite NAT training. CNAs with a lapsed license, military personnel with CNA training, foreign nurses with proof of training, and out-of-state CNAs can also skip the prerequisite training before taking the exam. Attend the school’s orientation session. Current Healthcare Provider CPR card. The American Red Cross and other nurse aide training providers across Massachusetts must provide a minimum 100 hours of training to nurse aide students. The stipulated minimum contact hours includes 75 hours classroom training and 25 hours for a clinical externship. Most programs offer four to six weeks of flexible training to accommodate varying schedules. During the training, instructors cover topics such as patient care skills, ethics, communications, physiology, medical terminology, nutrition, charting, observation skills, transfers and all the skills necessary to carry out duties at a long-term healthcare facility. At the end of the training, students are eligible to take the state nurse aide competency evaluation. Graduates of an approved training program must take and pass the nurse aide evaluation within two years of completing the training. Check below for a list of approved nurse aide training providers. Massachusetts nurse aide training can cost anywhere from $400 to $1,200. In some cases, you may be able to obtain free training if you’re resourceful and investigate sources of free funding. Start with your employer, especially if you work at a long-term healthcare facility. 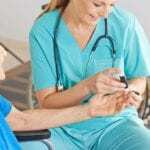 Nursing homes and hospitals also sponsor training from time to time, but keep in mind that there are extensive waiting lists for these programs. Whether you enroll in free or paid nurse aide training, you’ll need to budget for textbooks, uniform, supplies, state testing fee and other supplies. Once you’ve successfully completed nurse aide training, you can register for the NACE through the Red Cross or another approved testing facility. The evaluation comprises of 60 multiple choice questions and five clinical skills evaluation – issued at random. The written portion lasts for two hours, and the clinical evaluation will last no more than 30 minutes. Students must pass both components in order to obtain certification. If you pass the exam, your name will be added to the Nurse Aide Registry, and you’ll have the authorization to work as a CNA in the state of Massachusetts. If you fail the exam, you’re allowed three more chances to pass the written component and two more chances to pass the clinical test. If you do not succeed within those allowances, you must retake the training program before challenging the test again. You can apply for listing on Massachusetts’ Nurse Aide Registry if you’re an out-of-state CNA in active status. The American Red Cross manages all applications for reciprocity and processes the application within 15 days as long as you provide all the necessary information. The registry listing remains valid for two years, and you’re eligible to renew your listing if you worked for an 8-hour period during the two years. Your current employer should fill out the renewal form and send the application to the Red Cross Testing Office. If you did not work within the 24 months, you’d need to retake the written and skills evaluation in order to maintain your listing on the registry.